REDMOND, Wash., Nov. 27, 2006 - Built on a foundation of pure fun, Nintendo’s new Wii™ video game system sold through to more than 600,000 consumers in the Americas in just its first eight days of availability. That’s a rate of nearly one per second continuously since the Nov. 19 launch. Including just first-party software and accessory sales, Wii instantly has become a $190 million business in the Americas. 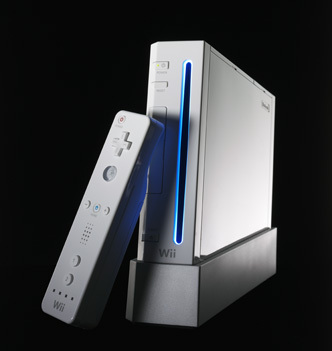 During the Thanksgiving holiday shopping weekend, there was plenty of conversation across the nation about the high demand for the Wii system, with the acknowledgment that if you see one, you’d better buy it. The system also is succeeding in its stated mission of reinvigorating current players, while attracting new ones. Every Wii system includes the five-game Wii Sports™ software, which is the talk of the Internet, featuring countless reports on how previously devout non-gamers have suddenly been converted via the amazing new way games are experienced using the system’s remarkable controller. At the same time, the masterful The Legend of Zelda®: Twilight Princess, a favorite of avid gamers, already has achieved sales of more than 454,000 units in the Americas, representing more than 75 percent of all hardware purchasers. Classic games also are proving to be a hit on Wii, which offers downloadable access to 20 years of the best of Nintendo®, Sega Genesis® and TurboGrafx16™ hits via the system’s Virtual Console™ feature. The Wii is huge and it looks like there is no stopping it anytime soon. Selling out all over the country and soon the world.